Dredging Corporation of India Limited is recruiting for the post of Management Trainees and Assistants for the year of 2015.Location at Visakhapatnam. 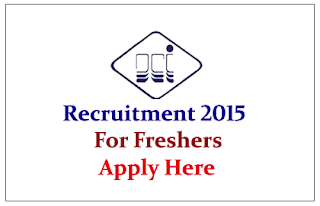 Eligible candidate can apply here on or before 29th June 2015. Eligible Candidates can send their filled application with required documents on or before 29.06.2015, for more details check official notification.